Priest: Pray, brethren, that my sacrifice and yours may become acceptable to God the Father Almighty. Response: May the Lord accept the sacrifice at thy hands, unto the praise and glory of His name, for our advantage, and that of all His holy Church. In the “Orate Fratres” the priest asks the people to pray that the Holy Sacrifice of the Mass may be pleasing to God the Father Almighty. He reminds the people that the sacrifice offered to God is both his gift and theirs. The altar boy answers for the people. 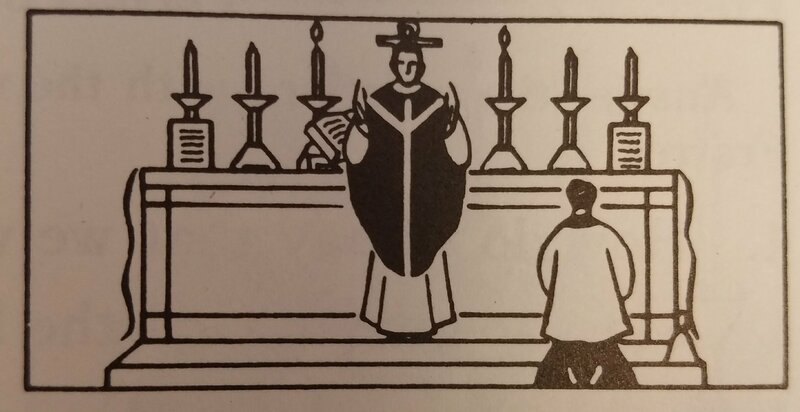 He prays that the Holy Sacrifice of the Mass which the priest is offering may be accepted by God. He asks in this short prayer that the Mass may give God the adoration we owe Him. He also asks that it may help us and all Catholics throughout the world.